We are in a mobile-first society, not only our customers even we ourself use our mobile devices first to check social media notifications and email notifications. Always email marketing is the most preferred channel for marketers to retain their customers. 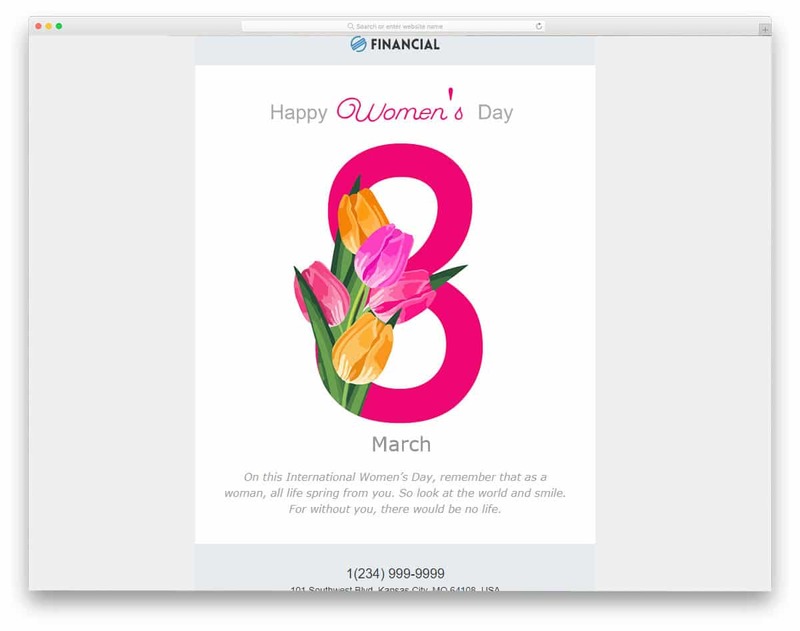 More businesses are pushing mobile-friendly design in their email marketing campaigns. In this list, we have collected some of the best free responsive email templates which is perfectly optimized for modern mobile devices. As more and more contents are consumed through mobile devices, websites are adopting AMP for faster loading. Now emails also have the demand to load faster, the faster your email loads, the better your conversion rate is. Most of the free responsive email templates in this list are tested with Litmus for better performance in multiple devices and multiple email clients. Some of the templates are directly from the Litmus community. 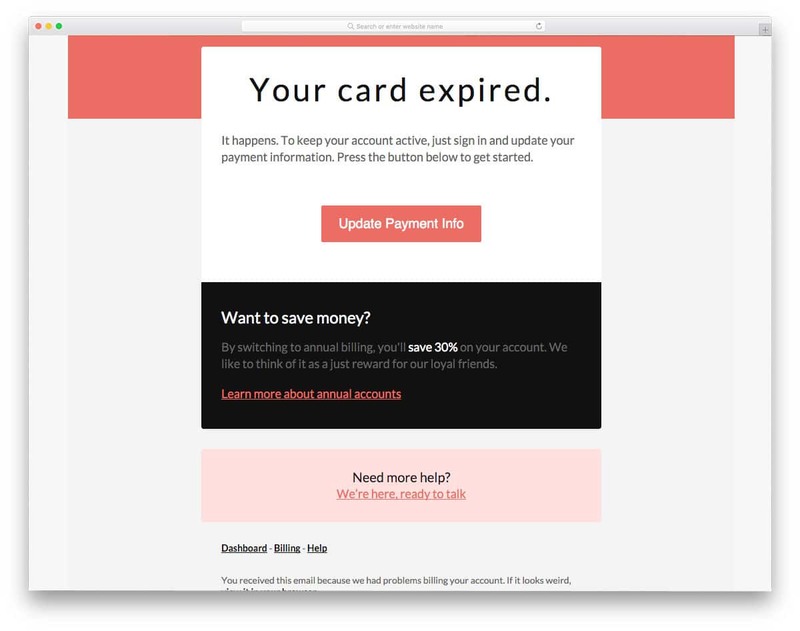 You can create a free Litmus account to access these free email templates code. This option best suits for developers and for the users with basic HTML knowledge. As most modern email marketing tools like MailChimp allows you to import your custom email template code, you can use these Litmus templates’ HTML codes. For general users, all famous email marketing automation tools offer free email building tool. You can simply drag and drop those elements to create your custom template. Campaign monitor and Stipo, both are one such email marketing tools that allow to access and customize their template. Once you have completed the design you can copy the code and use it in your email automation tool. 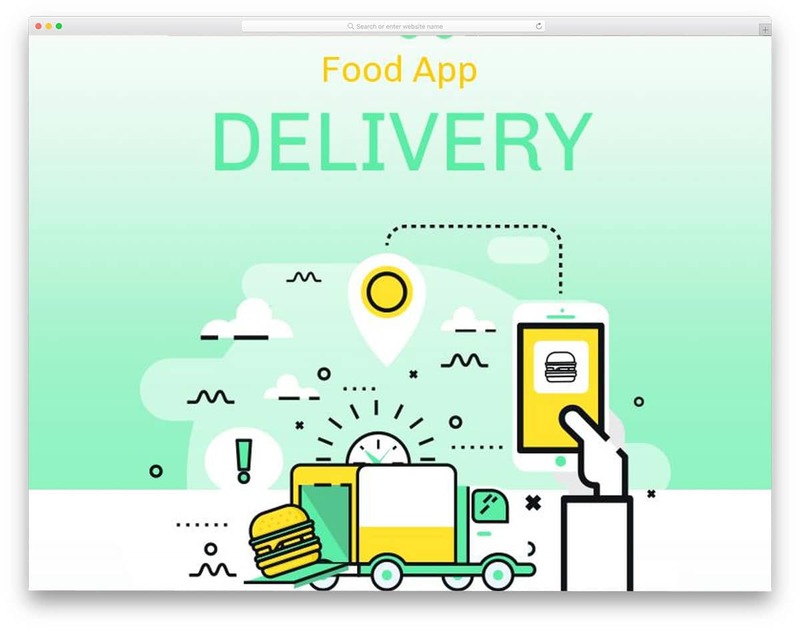 Food Delivery email template is the best option for app launch or product launch emails. Since mobile users are increasing in all niches, having your own application will help you serve your customer better. And you also have a way to understand your purchasing behaviors via mobile applications. If you already have a good email list collected via website or landing page or blog, you can use the email campaign to bring users to your new app initially. This free email template comes with the Beefree email builder option. Hence, you can customize the options and features by just dragging and dropping them on the required place. Fashion discount, as the name implies, it is a free email template for promotional offers. Sending promotional offers personalized on their shopping behavior will increase the chances of making the customer to buy a product. 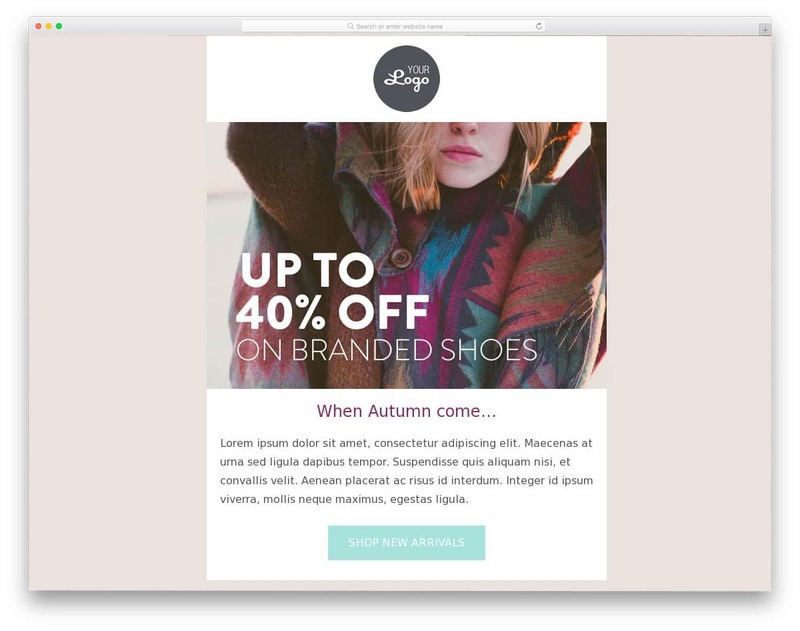 As most online shoppers are mobile users, using a responsive email template will give a better user experience. In the default design, you have more than enough space for images and texts. Even if you wish to make few optimizations, you can do it easily with the email builder tool given in this tool. Out of the box, the design you make with this email builder is a mobile responsive email template, so you needn’t worry about further optimizations. 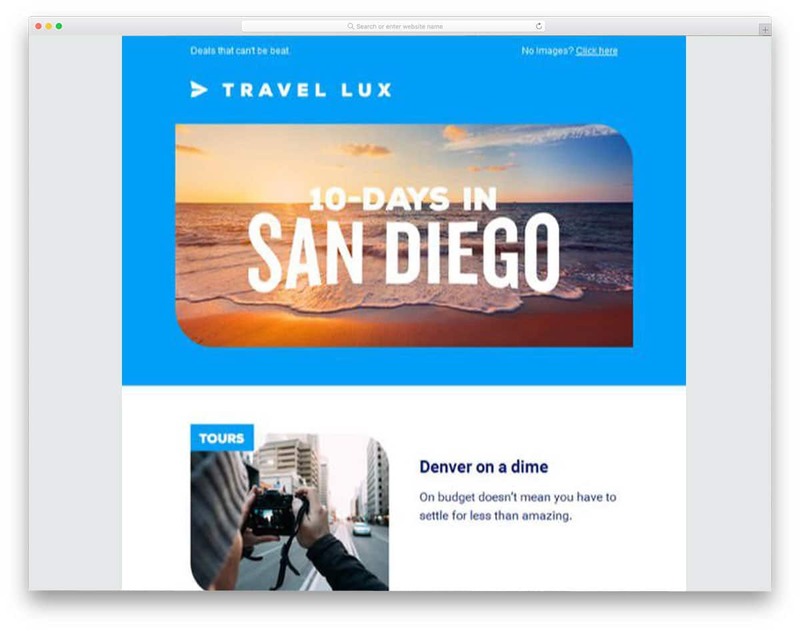 Travel Lux email template is designed specifically for the travel agencies. 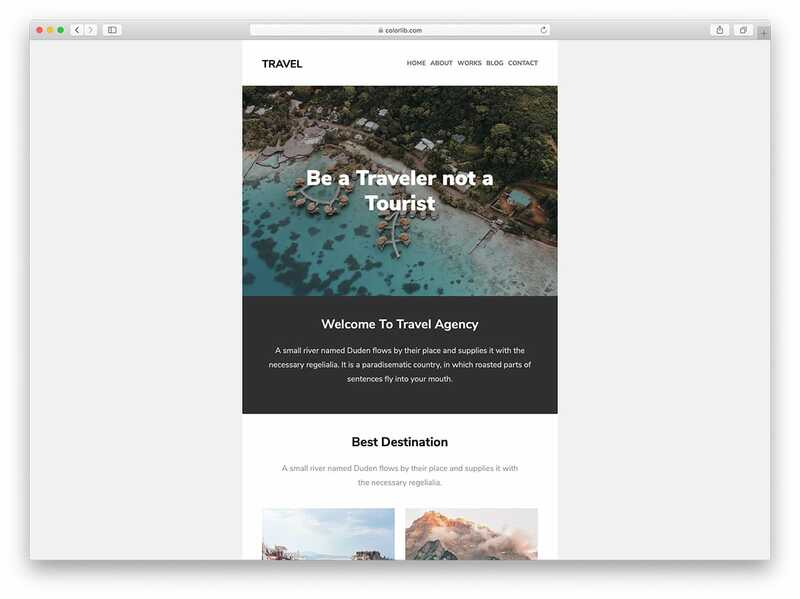 The long email template design gives you enough space to list all your vacation packages. Call to action buttons are placed at the most optimal places to increase the click-through rate. The drag and drop interface helps you to simply select and place the elements you want in the template. As said before Campaign Monitor is one of the famous email marketing tools with tons of useful features. Just create a free account and start editing your template or you can download the HTML file of the template for free. 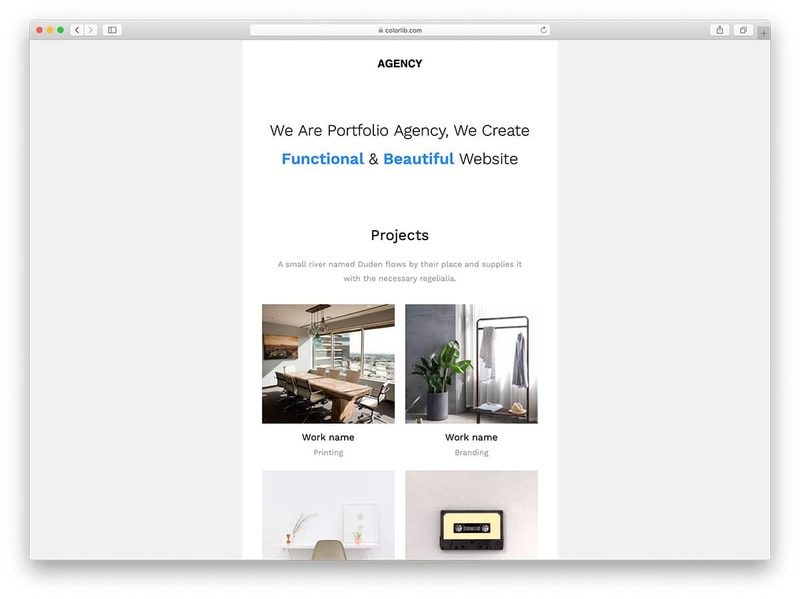 The email editor tool gives you the option to preview your email design in both desktop and mobile mode so that you can adjust the template then and there. Every digital marketer out there knows that old marketing funnel concept is no more applicable in today’s digital world. Hubspot uses the term flywheel for the new marketing funnel structure. In the previous model, once the user is converted into a customer the marketing funnel ends. But now you have to keep the customer in the loop with engaging and useful contents to retain them. The Newsletter is one such strategy to help you stay in touch with your customers. If you are running an active blog with tons of useful contents, this email template is for you. 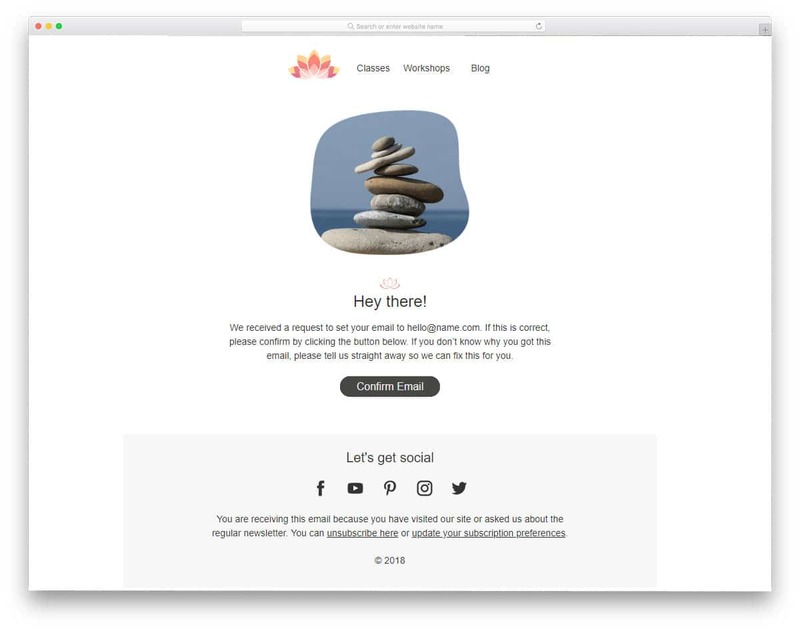 This template is from the Litmus community, which is tested with all major email clients and devices. The design of this email template is very simple. You have space to add your article image, an excerpt of the article, and a call to action button to take the readers directly to the article. As per the name, this template is designed completely using the HTML code alone. The designer of this template has designed it for general purpose, so you have all the elements in it. Ample amount of white space is given between each element and section, so your contents are shown neatly in small screen devices as well. Both text links and call to action links are given in this template, based on your need you can use them. As the code used for this template is shared with you directly you can customize and see the result before using it in your email campaign. 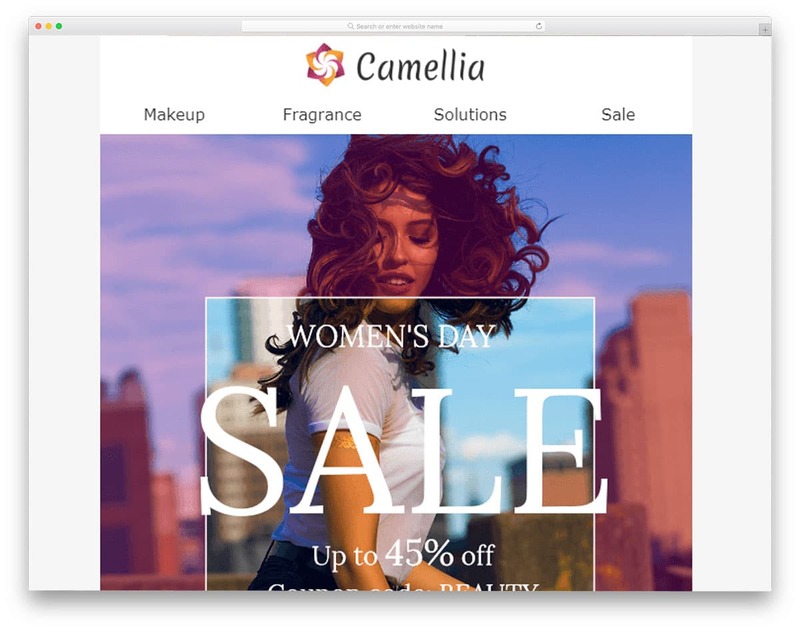 Camellia email template can be used even by the beginners. To edit this template you don’t even need to have coding knowledge. 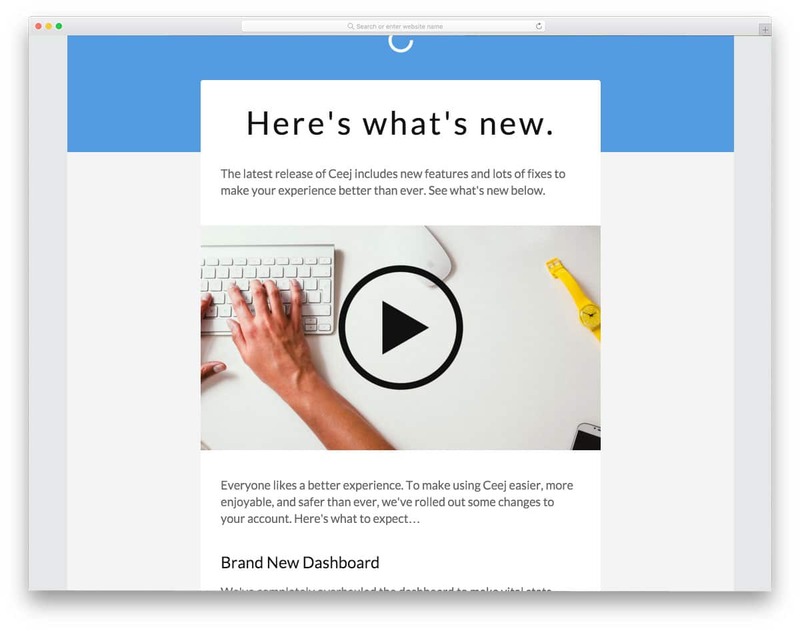 Just like in the (premium email templates) this one includes a drag and drop builder. Just pick the elements you need and add them to the email template. The best part is the editor gives you the option to export the customized template to the desired format of famous email automation tools like MailChimp. You can import the customized template to the email automation tool and start your campaign. Keeping in touch with your customer is very important in this competitive rich industry. Sending them greetings email is one of the best ways to remind your customers about your business. This email templates also includes drag and drop email editor for easier customizations. Even if you prefer it in the raw format in the coding format, you can download the code format and can precisely customize to the way you want. The editor includes all the famous modules like images, Youtube, and video links, just pick the element and place it in the place you want. Personalized contents always tend to perform better than the generic template. 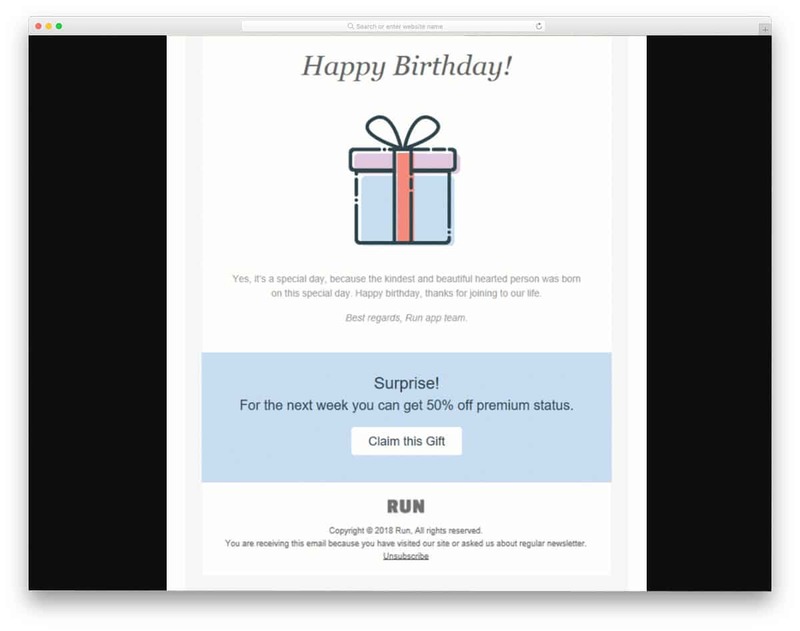 If the recipient is your customer, you might have their basic information like their birthday. You can send a greetings mail and give them a pleasant surprise by offering special discount and offers to them. The default template itself is simple and get to the point straight away. All the elements are placed in the right place, all you have to do is to add your contents. Even you can add your own elements if you want, customization with this template is made super easy. There is an option to preview your content in the mobile view so that you can make the required adjustment. After the implementation of the GDPR, the companies are taking an extra one step confirmation from the users of the data they are getting. If you are sending such email to your thousands of existing customers, this template will help you. With this template, you can clearly mention the information and ask the customer to confirm it. A call to action button is also given, which you can map to the link you want. You can customize this template in both the desktop and mobile view. In order to use the editor, you need to create a free account, other than that this editor is free to use. Restaurants are one of the businesses who strive to get loyal and returning customers. Providing exceptional services alone is not enough to get your customers, you have to adopt modern marketing tactics to be successful in the business. Luckily we have plenty of methods in this digital world, social media and emails are the most obvious methods. Emails tend to give a personalized approach and also gives a better result than social media. 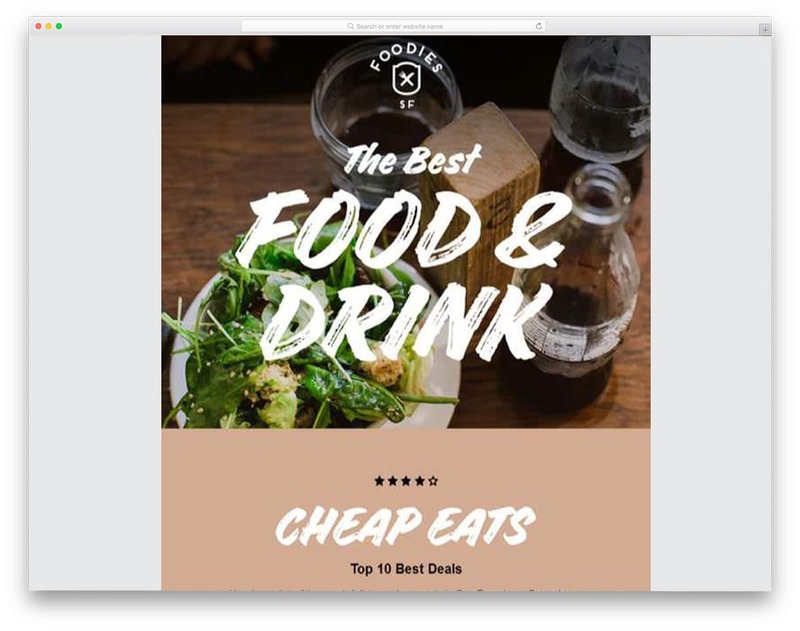 Just like in the restaurant website templates, this email template also has plenty of space to add food images. Below each food, you have space to show customer rating for that particular. Adding videos is a better idea, but make sure that the video content is well optimized and opens faster, or you can simply give a link to the video. E-commerce industry is in its golden age now, revolution in the smartphone industry and communication has made e-commerce a booming business. There are several tools to help you automate many basic functionalities so that even small business can run a successful online store. Emails are not only used to keep the users updated about their orders, they are also used to encourage the users to splurge more. 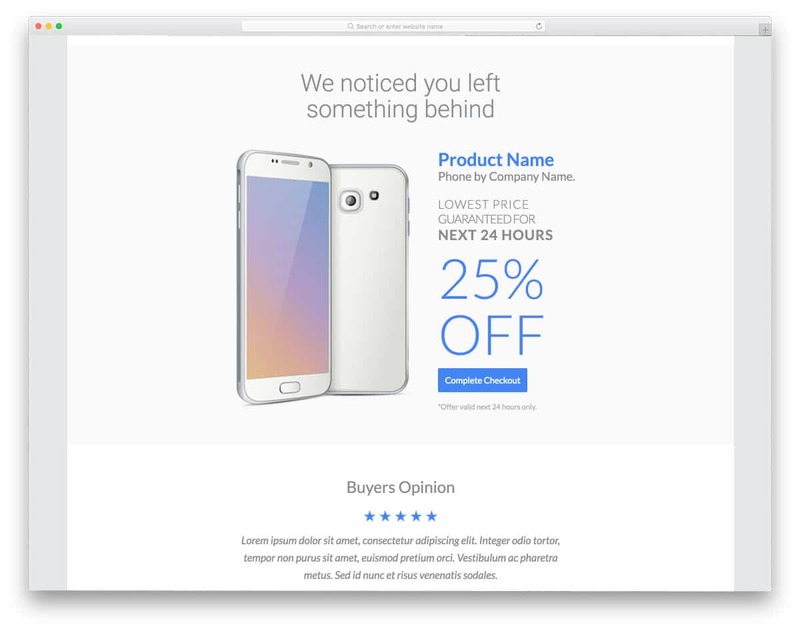 This email template is designed to notify the users about the unpurchased items in the cart. In the top, you have space to show the image of the product in the cart. If you are giving special offers for that particular product, you can highlight and show it to the users. Ample amount of space for text contents is given to give a short and sweet information about the product. In the footer section, you have space to add related products to suggest a better product for the users. As we have shared in the Yoga website template collection, 40% of the people prefer Yoga studio to do yoga. If you are running a Yoga center, the chances of converting interested people are high. 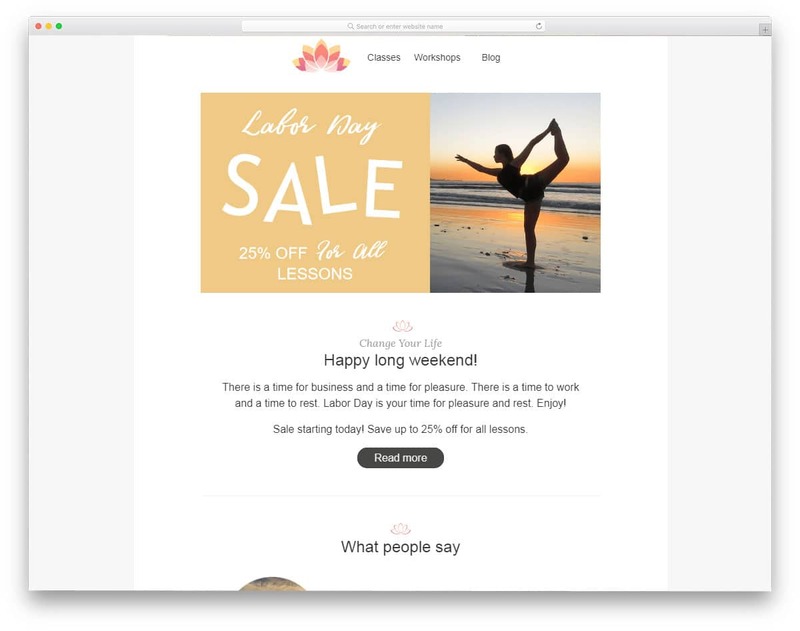 This email template is designed for yoga and fitness business. Mini-websites in the email is the most widely used strategy in all the major industry. Using a mini website design, not only helps you to promote the offer, but also helps you to show your other services to the users. 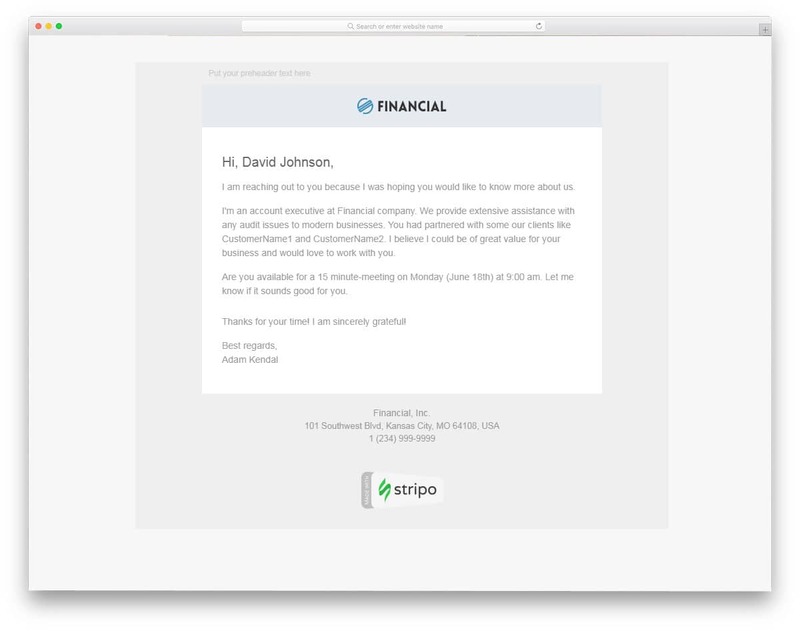 Stripo is a free online tool to customize and create your own custom email template. You have both free and premium version in this service. Sign Up for a free account, create a template and you can directly export it to the email tool or you can simply use the HTML code. 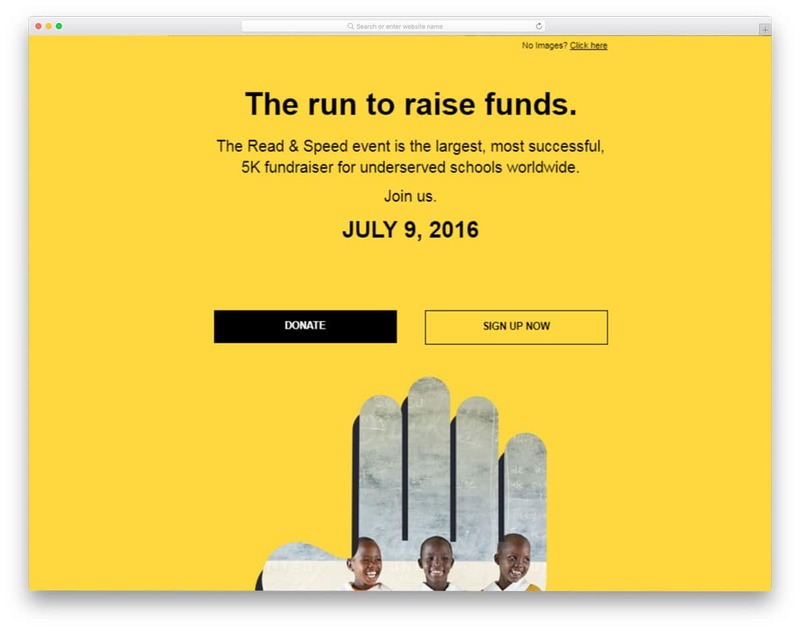 Raise Fund email template is designed for both event and non-profit organizations. Email recipients only spend a few seconds to read your email. We have to be precise with the content and also organize the sections logically so that the user will take their time to see what you are saying in the email. In the header, you have big bold texts to show the event heading, a few lines about the even and a call to action button. If the user is interested, they will scroll down to see more about the event. Placing the call to action buttons is the most crucial part in the email marketing, based on your email strategy the position if buttons vary. In the preview, you can see both the desktop and mobile version so that you can customize the template before you go live. The success of the event totally depends on the reach and number of attendees. In the digital world, you can reach a mass audience in one stroke, but you shouldn’t forget your loyal customers. Events help you to make a direct connection with your audience and customers. For months we spend countless hours of time to create something awesome for our customers. Emails are the most obvious way to say how special your customers are and how you are preparing something spectacular for them. 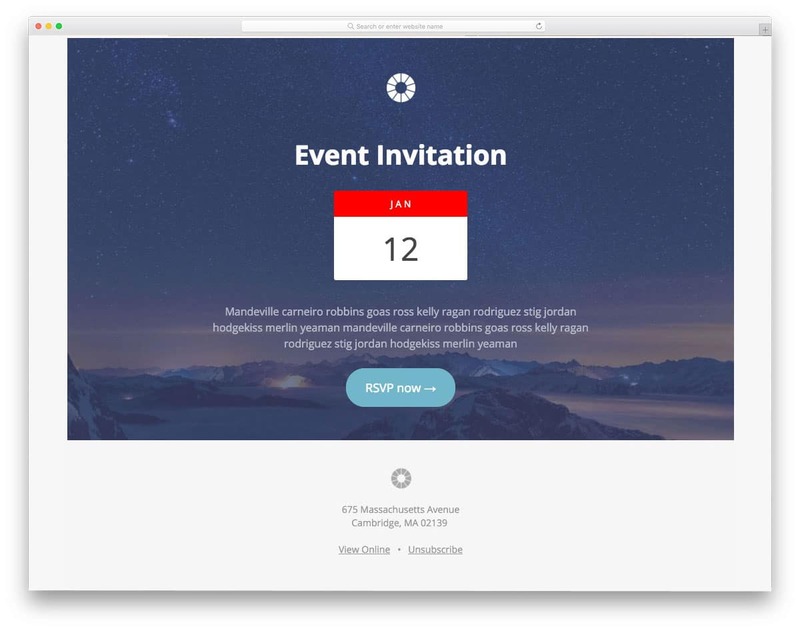 This event email template let you clearly show when the event is scheduled and an ample amount of space for text contents are also given to say a few words about the event. Take a look at our event website template collection to make an attractive website for your event. Events can also be organized for our employees. Organizing an event for employees helps the company to see the other potentials of them and sometime you might find a bright future product of your company. For example, Gmail a personal of Paul Buchheit has changed the entire model of Google. A few years back Microsoft started its own event “Microsoft Hackathon” to encourage the employees to present new projects. 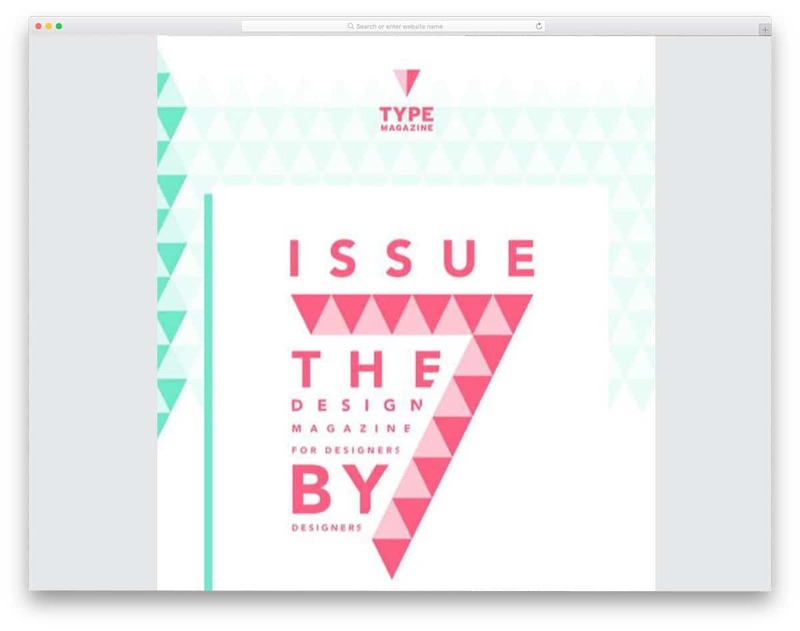 If you are planning something like that, then this email template is for you. This corporate style email template gives you everything you need to create an effective email that explains everything about the event. You can easily edit this template with the stripo email builder and can conveniently export to the format you want. If you want a more precise result, you can even add your own HTML code to make a perfect customization. There is nothing exciting than launching a new product. The complete effort of the whole team gets their true appreciation in the product launch event. 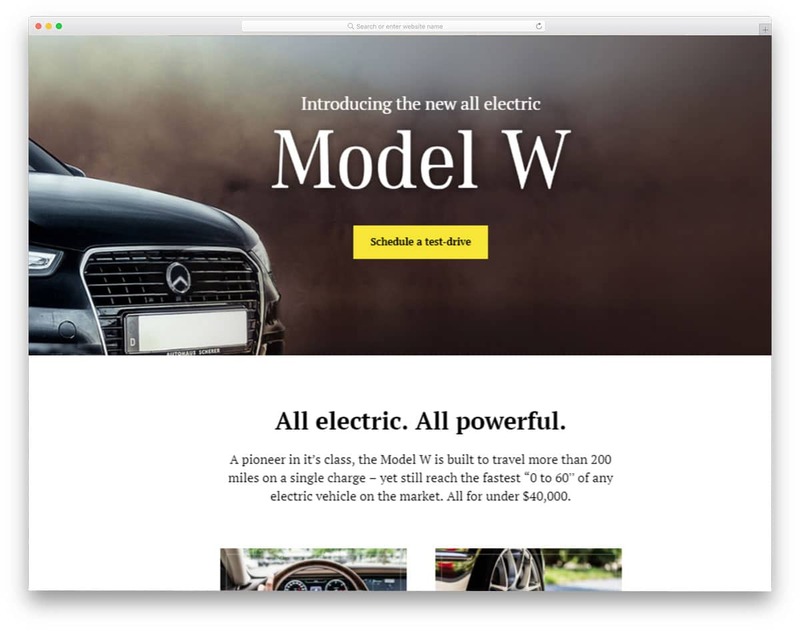 This email template is designed for a new car launch. Full-width design elements are used in this template to make use of the full-page design of the template. Creative shapes are used to show the features of the new model. Call to action buttons are placed at both the header and footer section to make sure that the user check out the new product. Texts of both big and smaller sizes are used to help you elegantly highlight the important contents. To make this template clearly brandable use the color scheme of your brand or the color scheme of the new product. If you are running an apparel store or home decor store, every now and then you will be making a new collection. 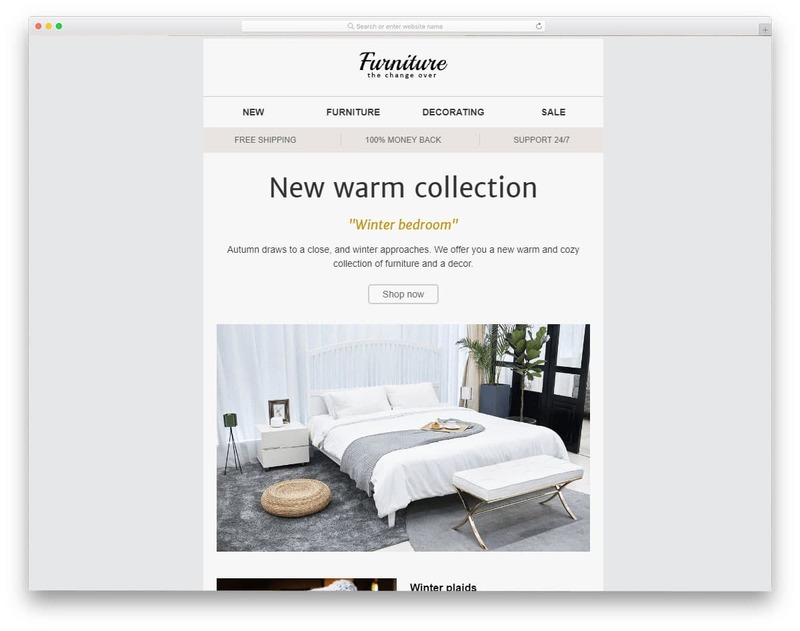 Letting your customer know about the new collection helps you to retain the customers and also bring in the old customers. This template is designed for the furniture stores with big sections and image holders. On the simple neat design, the user can clearly see your products. Different colors are used for the pricing, to make it distinctive from the rest of the texts. Call to action buttons are placed alongside of every product to take the user directly to the particular product page. A big section is reserved just above the footer to show promotional contents and offer banners. This template also follows a mini website concept with navigation option in the header to show some of your other products and services. We put all our effort to satisfy our customers, but it takes a lot when comes to asking for a review from the customer. Surveys and feedback not only helps you to understand your business but also to strategize the future plan. Sending a separate survey email will always end in the user trash. Most of the users avoid survey is that they are not ready to take one or they really don’t know what they have accomplished with your service. 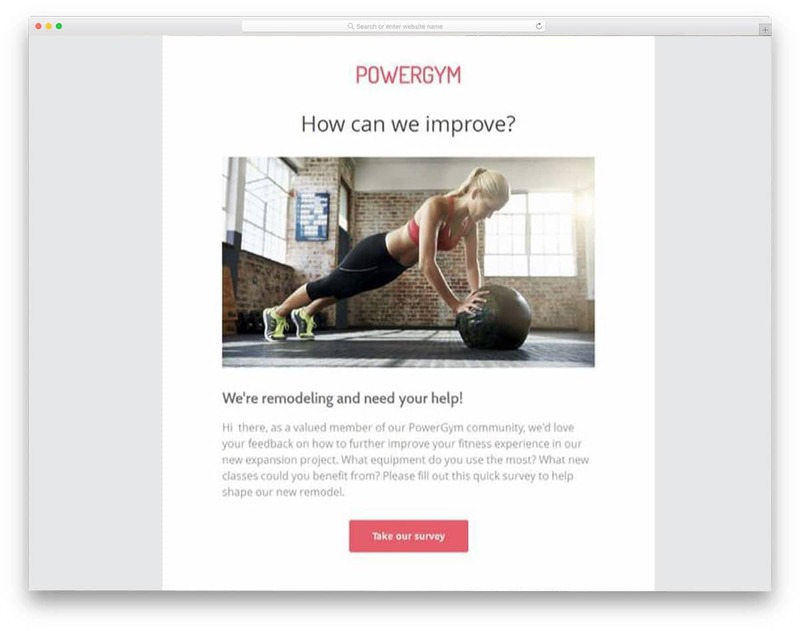 This email template is for fitness centers, you can share how active the user was, show some progress chart and gradually ask the user for a feedback to improve your service. Now you have prepared your customer and let them realize what your service really meant to them. This template from campaign monitor is fully customizable, so you can drag and drop the elements you want to make your email even more interactive. Another most effective way to get user feedback is through a confirmation email. When you send an order confirmation email or problem fixed report, you can add the feedback survey link. Because your customer just experienced your service and sure will spare a few minutes of their time to share their experience. 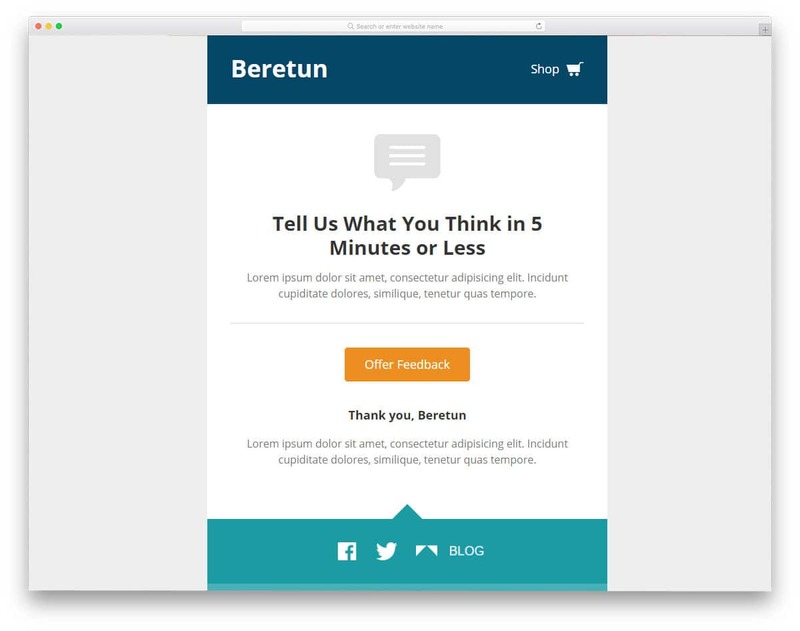 In this template, you have a bold header section to show the main content of the email and a secondary section for adding few lines about your service and a call to action button for the survey page. 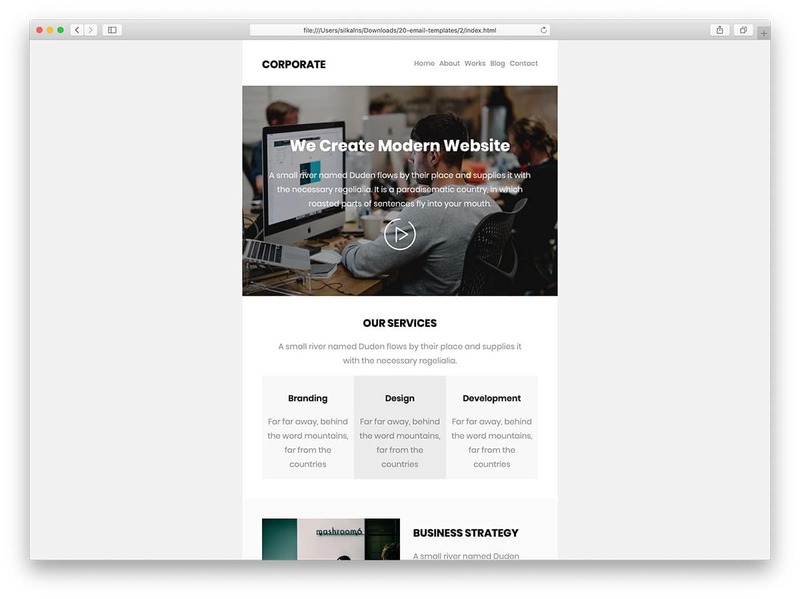 In the header and the footer, you have space to add page links for other important pages. The font used in the demo is neat and easy to read, but if you need you can customize the font to the way you want. In the preview, you can see the outcome for both small screen devices and desktops. If you are trying to reach a long forgotten customer, you have to give something special to make them remember you. Coupons and offers are the traditional methods to bring back the customer. 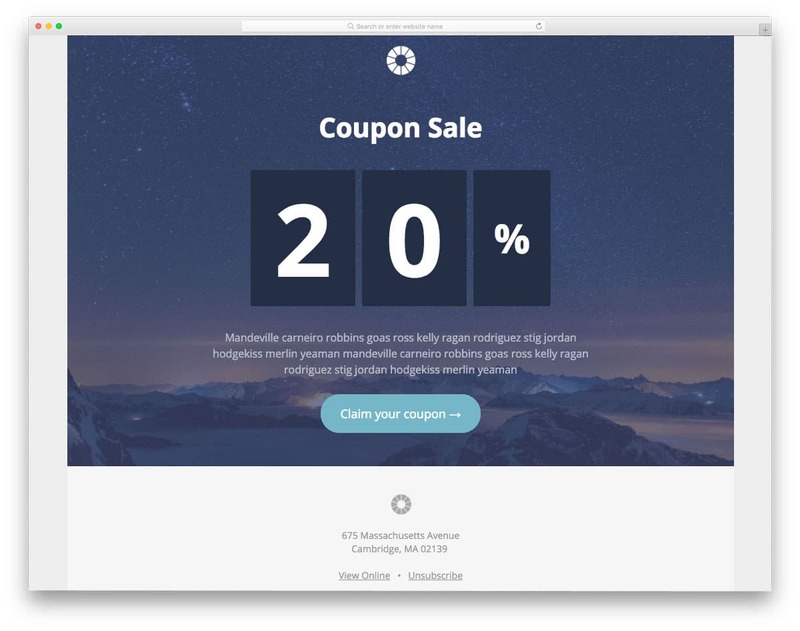 This template is designed specifically for the coupon purpose, so you have the entire design revolving around the promotional content. You have a bigger image in the center to highlight the offer. Ample amount of text space is also given in this template to say a few words about the customer and the latest offer. Call to action button is made big and bold enough to get user attention, so there is no need for another call to action button. 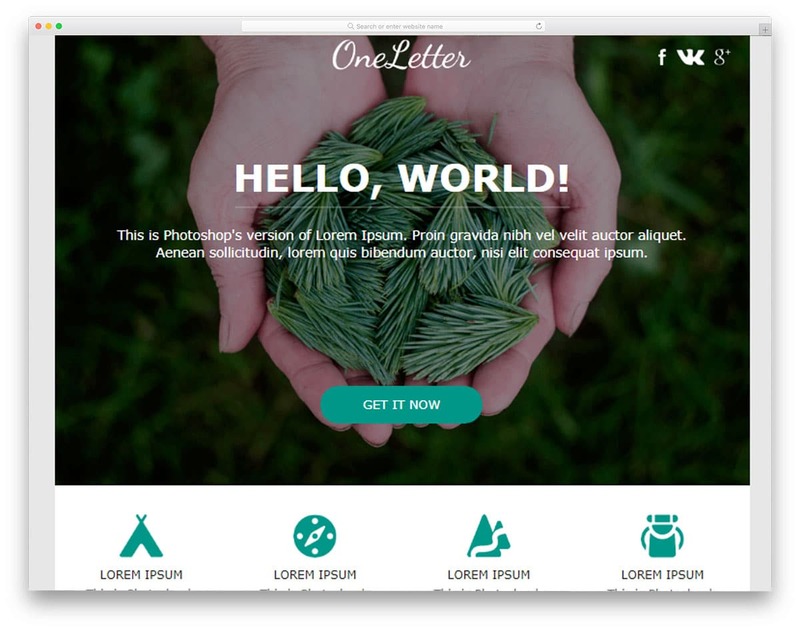 If you are expecting a creative design for your email template, the Type is the best option for you. 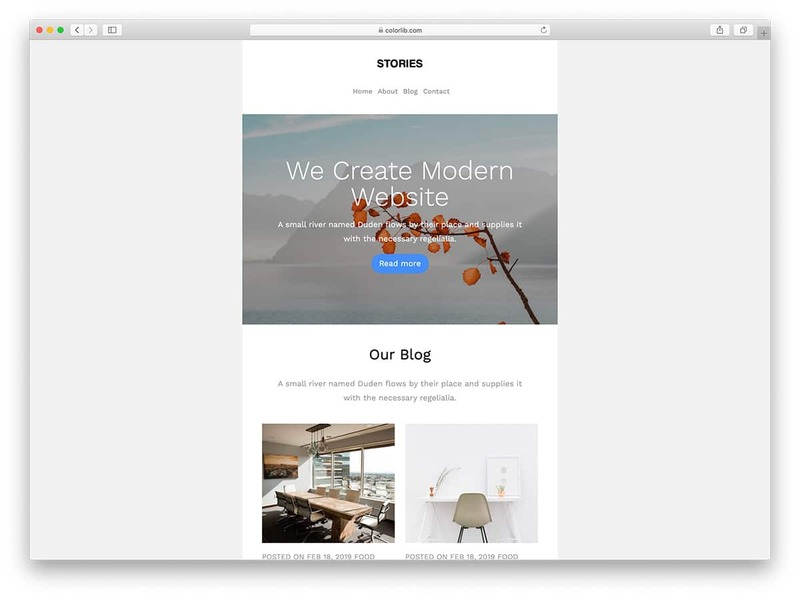 This template is designed for newsletter and blog updates. For bloggers their subscribers are everything, it took years to get readers’ trust and build a strong community. Even if you are a corporate, active blog with a proper content strategy will help you earn worthy customers. Since this email template is for design-oriented website, all the images and elements are handled artistically. Texts are made bold and enough space is given between the texts to increase readability. The Campaign monitor email editor tool gives you all the options to create a custom template. You can almost edit every element in the template and also make it optimized for the mobile view. After the GDPR, cold emails are not a very good strategy for your business. But if you are launching a sister concern or a partnership website of another website where the user has given his/her email, you can give a brief intro and place your sales pitch. This email template is designed for one such cold emails. You have plenty of space for text contents if you need you can add images or other graphical designs. Email marketing experts share that the conversational tone in the email tends to perform better; so try to make your email more personal and avoid using generic pitch template. In the top, you have space to add your logo, which will help you brand the email and make sure that the customer remembers your brand. E-learning is becoming popular among today’s net-savvy generation. People can learn anything from anywhere. Industry leaders use these e-learning platforms to share their experience and knowledge directly with the users. This email template is a welcome email for the new members. As most online course offering websites provide many services, giving a brief overview of top courses helps them to start exploring. This template has a simple plain design with texts alone. Modern templates use HTML5 framework so you can add videos. But again in order to make your email template lighter and load faster use well optimized short videos. In the footer, you have big space to list all your contact details to help the user easily reach you. 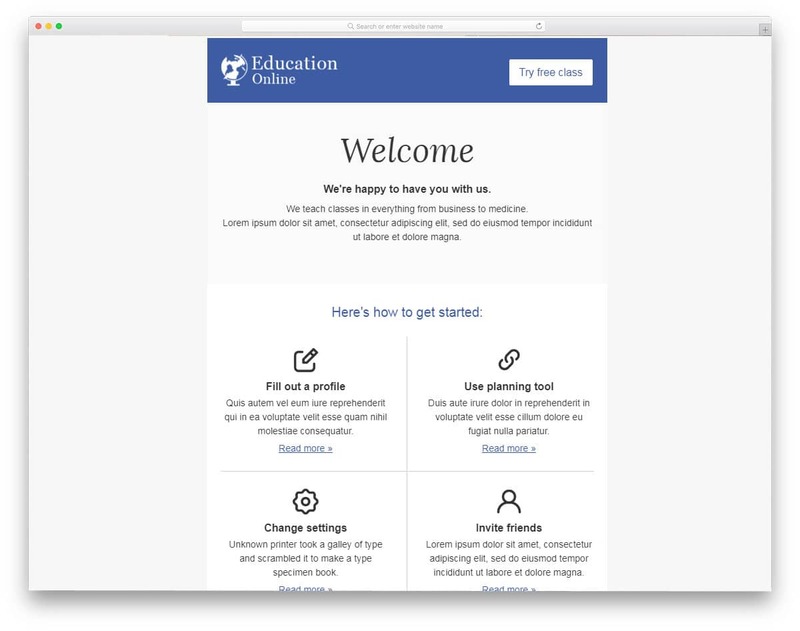 We have also made a list of free education website templates, take a look at it to attract modern audience. Email automation tools have reduced most of our redundant jobs with auto triggers. Based on the event, a particular set of emails are triggered. 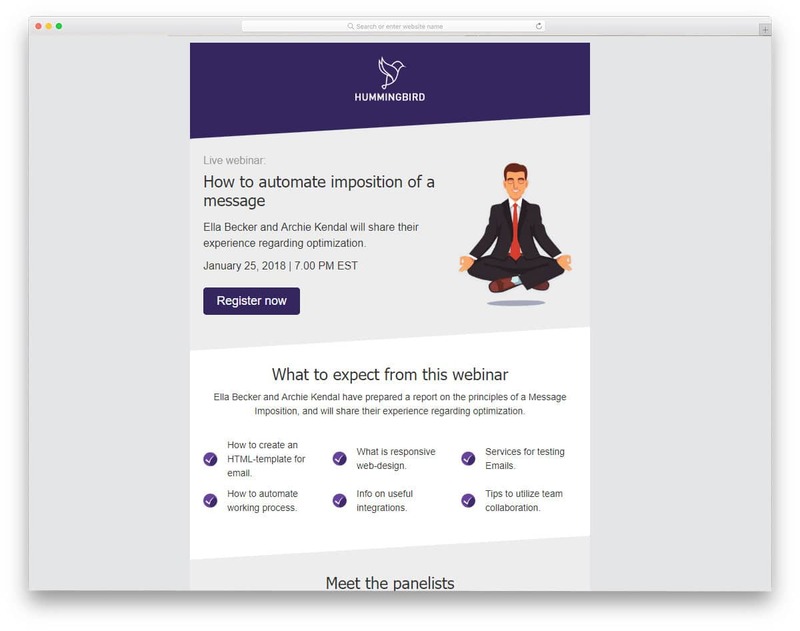 Advanced tools like MailChimp even allows you to set up auto emails in a particular time interval, for occasions like online course materials. 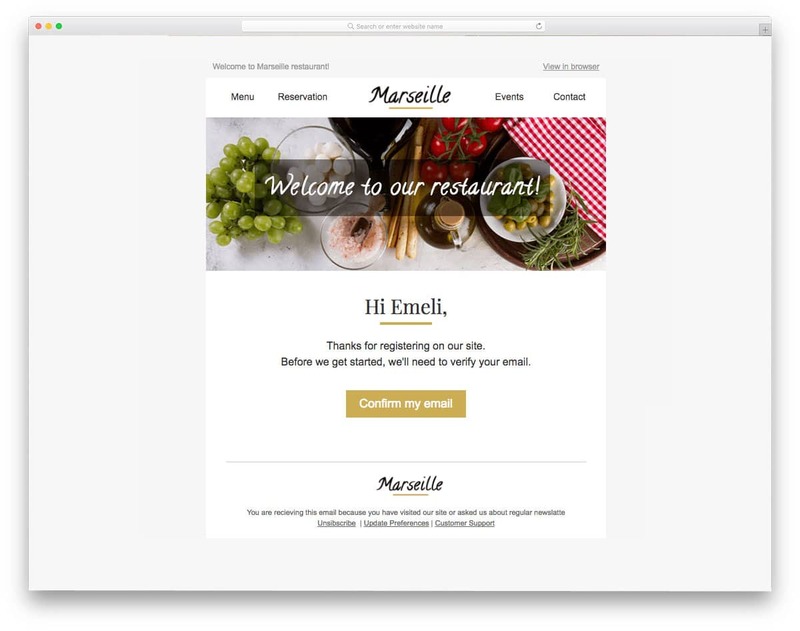 This email template is for restaurant websites. Here this template also follows the mini website concept. Since the users are new to your website, you can put some of the important options in the email to let the user explore more about your services. In the main content area, you have a big image banner to show a welcome message. A call to action button is also given to take the user to the user directly to the website. Customers are always excited to hear the new features from their beloved brands. If you are a SAAS company or in the software business, you will need to send major updates. 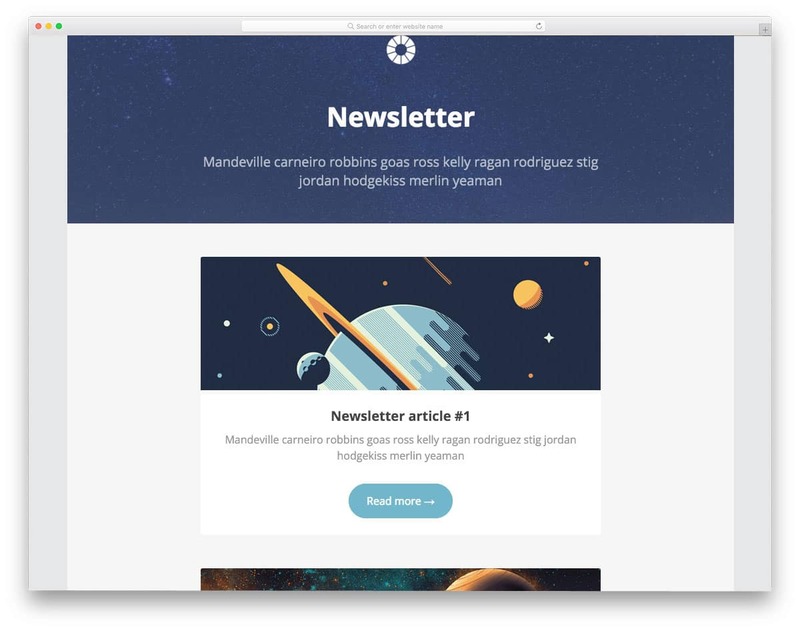 This email template helps you to show share some of your important updates in one place. We always make a detailed blog post on our websites, if we make any major change. In the account update email, you can give glimpses of the new update and take the user directly to the detailed blog post. This template is from the Litmus inventory, which is tested over seventy plus email clients and both desktop and mobile devices. So you needn’t worry about the performance of the email template in small screen devices. If you are running a subscription-based model, once in a while you need to remind the user about the account renewal. Most top brands not only simple sent the reminder email, but also share some of the best moments the user had with their subscription. This method helps you to show how much you care about your customer. If you are offering special offers to your loyal customers, you can also share it in this email. This email template has lots of text space to briefly explain your content. Since this template is from the Litmus free version, you have can edit the template only via the HTML code. You also have a premium version in which you get a friendly email editor.